For Xeodrifter, the long road to release on PS4 and PS Vita is finally upon us here at Gambitious, and we’re super stoked to be sharing our experiences of getting Renegade Kid’s great action-exploration game to gamers on PlayStation devices. As a cross buy title and with demos available on PSN, we’re hoping as many people as possible will play Renegade Kid’s stellar 2D platformer and become as big a fan of their work as we are! The journey officially began right before PAX East 2015, as Renegade Kid was looking for a publishing partner to help put Xeodrifter on PlayStation devices. As a start-up ourselves, and based locally in Austin, TX, right beside Renegade Kid, a collaboration between Gambitous and the Mutant Mudds developer made perfect sense. We officially announced a collaboration at PAX East 2015, bringing Renegade Kid to (a very snowy) Boston to interact with fans and share the news that Xeodrifter was finally coming to PS4 and PS Vita! 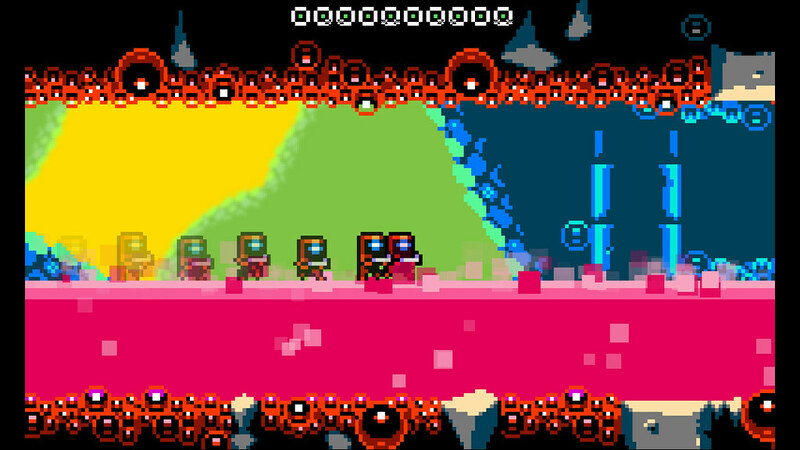 The thing that drew us to Xeodrifter (besides Renegade Kid’s stellar pedigree) is how easy it is to pick up and enjoy. The game is quite clearly an homage to the 2D action-adventure games we all grew up loving as kids. From its retro-inspired 8-bit aesthetic, to the (critically acclaimed) chiptunes soundtrack, the game is a love letter to the 2D platformers of ole. For us, this sense of playability was validated at PAX, as people could easily show up to the booth, put on the headphones and enjoy the game. This is actually a really informative process at conventions, too, as you can tell very quickly what features or designs are working for players and which ones aren’t. With the glory of PAX East over, development of Xeodrifter began in earnest as we returned back from the snow entrenched state of Massachusetts. This is where the programming wizard, Matthew Gambrell of Renegade Kid came in and pretty much stole the show in terms of his programming wizardry. To exemplify the coding prowess of Matthew’s warlock-like powers, gather round granddaddy Gambitious and let us tell you a story of how QA works in this industry. Usually, QA is a long, arduous process that can result in a lot of back and forth between the QA team testing the game and the developers creating it. “Finding bugs, fixing them, finding bugs, fixing them, etc.,” is usually the tedious routine that is involved with this process. As some might say in the industry, it is a necessary evil, but an evil we all embrace. However, for Matt, this was not the process. No, no, no, for Matt, QA is when this guy just kicks back his feet and watches everyone nod in awe of how smoothly everything is going. We here at Gambitious must give Matt the most gracious of bows as the kid managed to get the game through QA without a single-hitch, allowing us to easily transition into submitting the game to PlayStation in preparation for Xeodrifter’s inclusion on PlayStation store. This is a great place to mention how great of a partner PlayStation has been through this entire process, too. Reaching out to us about their Summer retail promotional tour, we were invited to include Xeodrifter in PS4 units across the country for gamers to try the game for themselves at select retailers. For an indie publisher such as ourselves, this is a huge deal and is such a great gesture from PlayStation to allow us into their retail promo program. We here at Gambitious are incredibly grateful to Renegade Kid for entrusting us to help deliver this game to PlayStation fans across the world so they can experience this fantastic 2D platformer for themselves. At long last, Xeodrifter will be making its debut on PlayStation devices on September 1st! We hope you enjoy it! This games like it’s the perfect fit for Vita! Can’t wait to sink my teeth into it in a couple weeks! This looks delightful. I can never get enough of the metroidvania 2D action/adventure/explorer games! Thanks, Gambitious! Now, just dont price it over ten dollars and i may buy it, despite the fact that im sick and tired of 8-bit and chip tune. AND metroid clones. And dont use cross buy as an excuse for a higher price. So much complaining in America it’s sickening. But on a brighter note I’m looking forwRd to this as I love my indies!!!!!! As a side note, how can anyone ever get sick of chiptunes? The soundtrack to this game is LUSH. This looks great! Thanks for making the effort to bring it to the Vita. It deserves a purchase just for that. What is the price point in mind though? 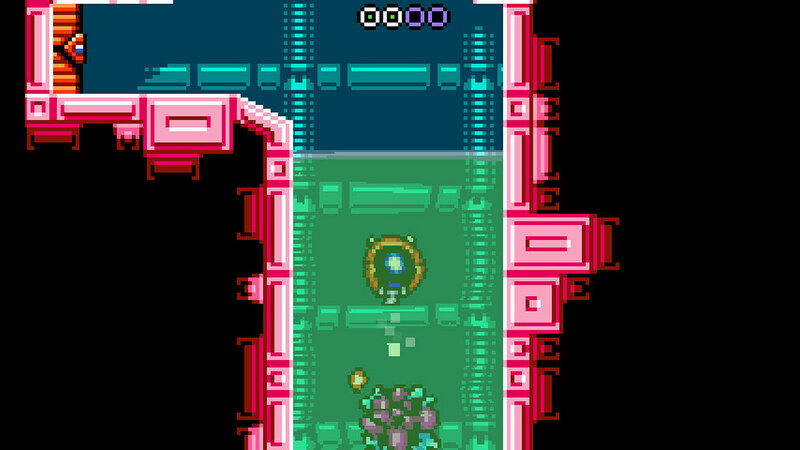 ANOTHER metroid-clone with “retro” style and zero effort on TRYING to make an actual game. Seriously, if you think you have talent, PROVE IT, because by now it looks like they were right when they said that “indie devs are the future of gaming”: because clearly there isn’t one it seems. How ’bout this, Gene – why don’t you try making a game and show us all how it’s done. Show us YOUR talent. Go ahead. I’m fairly certain that some of these folks who make these kind of “games” do it to put on to their resumes. Some of them I’m sure wants to work for a major publisher like EA or Activision someday. Show their chops that they know how to program and make it big by being a part of a major AAA game. I hope not LucifersGleam because those big publishers are where talent goes to die. Individual talent doesn’t matter much when you’re programmer number 103. I don’t know why you put games in quotes. How is this not a game? Because it’s not 30-200 million dollars to produce? Guys when this released elsewhere within the last year it was sold for $10, totally worth it. Looking at games like this and the countless other “retro” themed indies that have infested the once awesome PlayStation brand, I appreciate the AAA games industry more and more. This is the exact opposite of that. Sure a lot of AAA games fall flat or are sheisty as hell but man, I’d rather play them than some pretentious artsy fartsy piece of cr@p.
How can someone who plays Katamari even complain that a game is artsy and fartsy? You are going to miss out on some amazingly fun games that would just make you smile, games that you’ll get for free, all because, they don’t cost enough millions and have enough hundreds of people developing them working 12 hour shifts, just to get laid off at the end, so some CEO can hit an arbitrary number so that the stock looks good for the quarter, and the CEO can get a bonus. Love this type of games, should be a Day 1 pick up for my Vita. Just wondering about the price and whether it supports PSTV? I’ve already played this on the 3DS, and am currently playing it on the Wii U. And I can confirm it’s an excellent Metroid style game. I’m sure I’ll get this on my Vita for the sweet trophies! Man, the salt here is RICH. This game looks incredible. Games like Shovel Knight, Super Time Force Ultra, Curses N’ Chaos, The Swindle, Rogue Legacy, Nidhogg and Luftrausers prove that 2D game design can continue to push the limits of what can be possible with the medium. I can not wait to DL this come Sept. 1st. Keep on keeping on Renegade Kid. SWEET! An awesome PS+ game for the month of September! I am quite looking forward to this! Is it true it will be free next month?